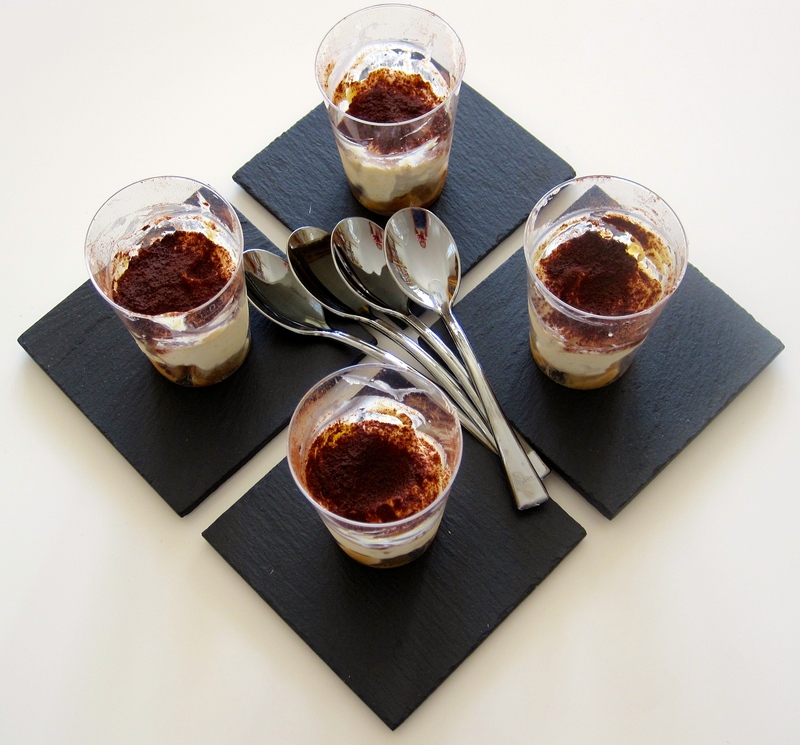 Tiramisu is, despite being simple, a tricky dessert. Lots of people claim to have the best recipe and don’t want to reveal their secret. However, in my opinion, Tiramisu is the one dessert one can’t really claim to be the king of, as tastes widely vary. How much coffee to use? Whether or not to add egg whites? Oooo or Marsala or Amaretto or Rum or Grand Marnier? And who on earth decided to add fruit to Tiramisu? That is just wrong. Is it? I’m sure every italian grandma would shake her head with disapproval. I have yet to try an actual italian home-made Tiramisu and am longing for one of my italian friends to make me a one ala Nonna. Come to think of it, I don’t really know many italians. Damnit. Well, I guess until then I am stuck making my own. My preference: a medium amount of coffee (due to the fact that I actually don’t like coffee… ), egg whites, Marsala, and no fruit pieces. If I may say so, it has improved drastically since my first attempt a couple years back. My secret ingredient: lemon zest and juice. Go ahead and try it out, let me know what you think!